We are often asked how the bail process works for an individual who is arrested for a DUI offense. First, the person must remain in jail until they are taken before a judge. It’s at this time where the judge advises the arrested of the charges filed against them. But that’s not the only thing that takes place during what’s called arraignment. This is also when the judge or magistrate sets bond or a bail amount. Ultimately, the bail amount depends on the criminal laws of the state in which the person is arrested. There are three main types of bonds for such cases. The first is what’s known as personal recognizance (PR). With PR bonds, the court basically releases the individual on their word that he or she will appear for subsequent court dates. Not to mention, they must not commit any new offenses while on bond. It’s safe to say that PR bonds tend to be the cheapest type of bonds. However, as you might have guessed, personal recognizance bonds are pretty rare when drunk driving is involved. So let’s move on to cash bonds, the second main type of bond. Cash bonds require the individual to pay a cash sum into the court’s registry. Should they fail to appear for court, the court keeps the posted cash. Pretty straightforward, right? Now we can discuss the type of bond that’s most used in DUI cases: surety bonds. A surety bond is where a third party, such as a local bail bondsman, agrees to assume responsibility for the person appearing for court in exchange for a fee. Consider this example: the bond is set at $5,000. Rather than drain their savings account to post their bond, the person gets in touch with a bondsman. In New York City, bondsmen charge anywhere from 6 to 10 percent of the bond. We should mention that the actual bail amount for a DUI hinges on the person’s criminal history and the bonding schedule used in the jurisdiction. As is the case with any other crime, the more arrests and convictions you have, the higher you can expect to pay. A first-time misdemeanor DUI might only cost you $500 in bail money. That said, felony DUI bond amounts can be as high as $50,000. There are usually particular DUI case stipulations that must be met aside from posting bail. By this, we mean being ordered to install and maintain an ignition interlock device on any vehicle you intend to drive. Such as service can range anywhere from $80 to $200 per month. Of course, some judges may opt for other conditions such as alcohol and/or drug screenings while your DUI is pending. Keep in mind that the court is going to do whatever possible to protect the community. There have certainly been situations where a judge requires an individual arrested on DUI charges to avoid driving altogether while out on bond. One quick clarification here: should your driver’s license be suspended, know this is done through your local Secretary of State. Was one of your loved ones recently arrested and booked into an NYC jail on DUI charges? Then you need to act swiftly. Here at ABC Bail Bonds, we are ready to help. For more than 50 years, we have been getting individuals and their families out of difficult situations. What makes ABC Bail Bonds different is that we treat cases with the utmost respect and confidentiality. Are you concerned since this is your first time contacting a bail bonds service? Not to worry. Our third generation business is staffed with some of the finest bail bondsmen in the city. 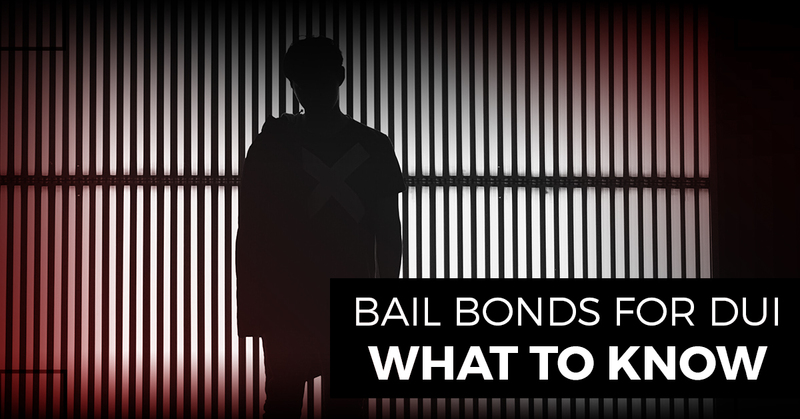 We will take the time to explain the bail process and what we need on your end. Plus, we welcome any questions you may have. Unlike other bail bond companies who rush through cases, we slow things down to help put your mind at ease. Our 24/7 bail bonds team understands that people make mistakes. But, after the individual is arrested, it’s imperative to have a plan of action in place. Rest assured that our licensed bondsman will work diligently to expedite the bond posting process. Let’s touch on how payment works briefly. There’s no question it’s difficult to come up with a large sum of money at the drop of a hat. You can feel comfortable knowing our flexible agents will come up with a solution that makes sense for you. ABC Bail Bonds accepts all major credit cards and checks for your convenience. Plus, we offer stress-free payment plans. From DUI bail bonds and domestic violence bail bonds to emergency bail bonds, see how our agents can assist you. Call our local bail bondsman today.